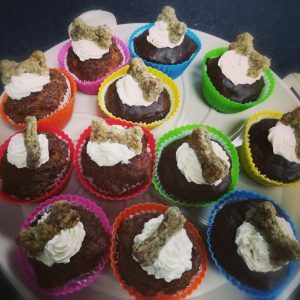 For the Pooch who loves his peanut butter! 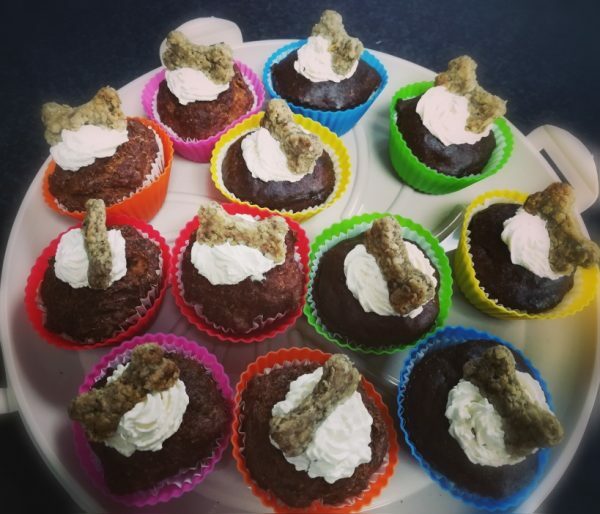 Show your beloved pooch just how much you love them with these handmade, tasty yet healthy doggy celebration cakes. A minimal amount of baking powder is used in this sweet tasting cake. Whereas a large amount of fresh carrots are used, which combined with honey and peanut butter give it that heavenly taste that sweet toothed pooches go mad for!